The promise of the Internet of Things is enticing in many ways to those in business as well as to those in the consumer realm. The two worlds are intertwined as consumer advances precede and often drive enterprise directives. Who would turn their back on a promise of connected home devices automatically turning on or off when you get home or leave the house, or the thermostat adjusting to your desired temperature when you walk into a room, or how about ordering groceries online? Are these IoT companies delivering on their promise? How long will consumers have to wait decades for this connected scenario to actually happen? 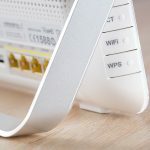 There are hundreds of connected devices that are available to consumers, and yes, there is a problem of incompatibility. Not all these connected devices work well together and need their own hub to connect to the Internet or their own app to be controlled remotely, and they will only work with same-brand devices. Though this is an issue that needs to be addressed, Farley states that people are more interested in products or services that addresses their needs, such as on-demand car services such as Uber and Lyft. Farley suggests that for IoT to really take off, it should address real world problems such as safety for seniors, security, and tracking lost or misplaced items. But there is also another issue that needs to be addressed: WiFi. In a typical home, there are about seven connected devices, all of which compete for bandwidth or WiFi connectivity. As IoT devices are reliant on Internet connectivity, it will yet be another thing people would worry about eating up their bandwidth and could affect their other online activities. Perhaps we need to think about upgrading our WiFi infrastructure first and foremost before we think IoT. Technology writer and industry analyst John Casaretto has an extensive background as a technology consultant. As an author, he has produced countless news articles, whitepapers, marketing materials, research materials, reports, and more. He is the founder and president of BlackCert, a Denver-based SSL Digital Certificate company. Find out more: www.blackcert.com.